The Hindi dubbed version of Dhanush starrer Kodi garnered over 3 million views in 30 hours. If you are a fan of Dhanush then we have some awesome news in store for you. In a truly awesome development, the Hindi dubbed version of his ‘Kodi’ has become a rage amongst fans. Titled ‘Rowdy Hero 2’, the Hindi dub managed to garner over 3 million views in 30 hours of being released. Moreover, it seems that audiences are liking it a lot. Now, that is quite an achievement we must say! 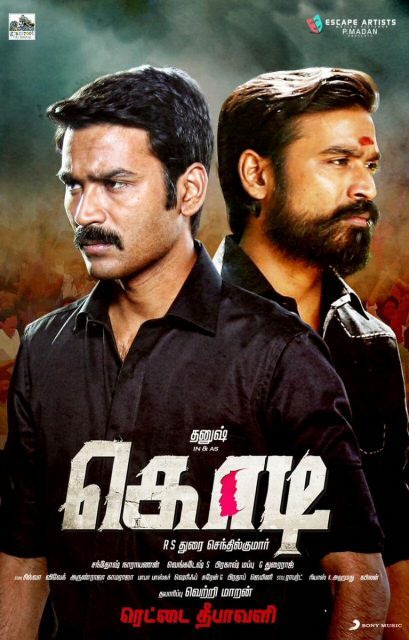 In case you did not know, ‘Kodi’ was a political-thriller and hit screens in 2016. Featuring Dhanush in a double role, it received rave reviews upon release courtesy his impressive performance. Besides Dhanush, it also featured Trisha in the lead. Directed by RS Senthilkumar, the film revolved around a young man who tries to avenge the death of his twin brother. It goes without saying that the success attained by Kodi’s Hindi version kind of proves that Dhanush enjoys a pan-India following now. Interestingly, ‘Kodi’ is not the first South film to have created a buzz on Youtube. A while ago, Allu Arjun’s ‘Sarraimodu’ too became a hit with the Hindi audience. On a related note, this is a busy time for Dhanush. He will soon be seen ‘VIP 2’. The film is a sequel to the 2014 release ‘VIP’ and has been directed by Soundarya Rajinikanth. Besides Dhanush, it features Bollywood diva Kajol and Amala Paul in the lead. So, are you looking forward to the release of ‘VIP 2’? Do you think it will work at the ticket window? Tell us in the space below.